In our house, we love eating a wide variety of different foods. We love chicken, beef, vegetables, and of course pork! 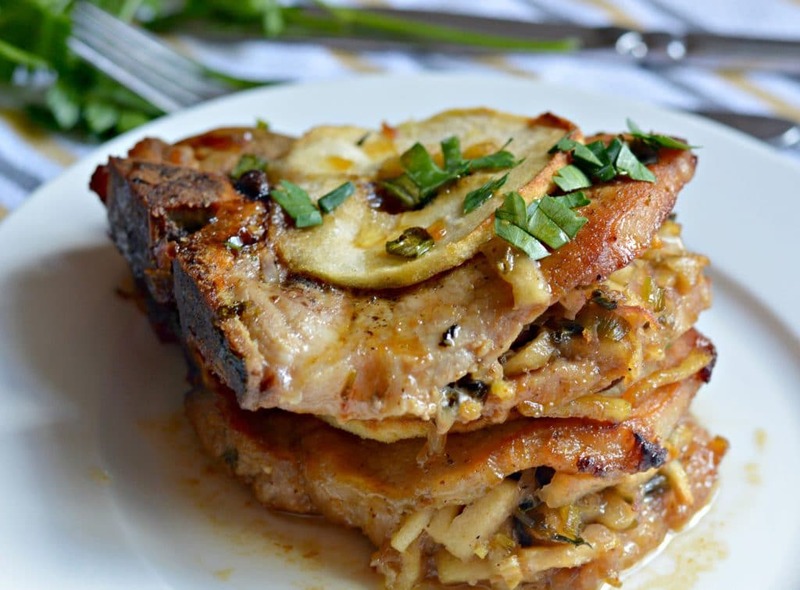 Pork is definitely a favorite, and these apple stuffed pork chops are no exception. 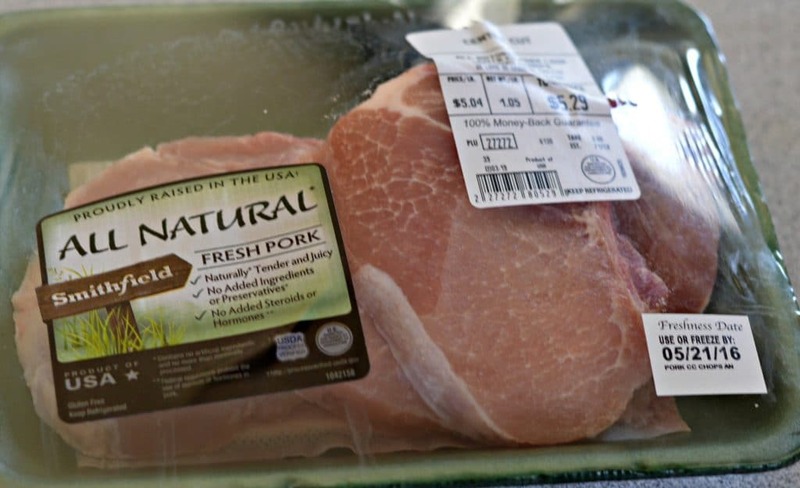 For now you can earn .75 using Ibotta when you purchase (1) Smithfield All Natural Fresh Pork (while supplies last), so it is great time to try it out if you haven’t yet. 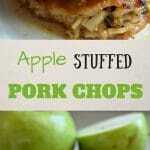 These apple stuffed pork chops are a great option for a weeknight when you need a quick meal. Even though these may look kind of fancy, you can have them done in just around 30 minutes! 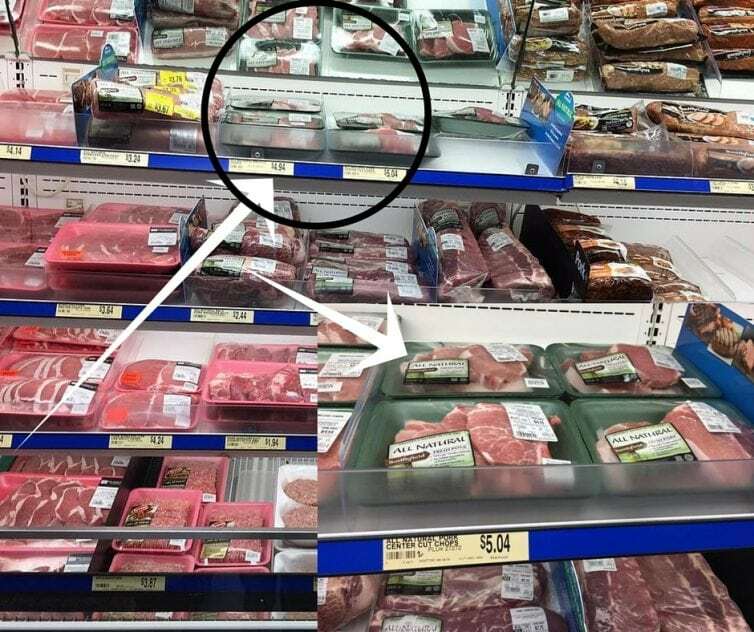 Of course if you marinate them for longer it will take longer than 30 minutes, but that is all up to you. I made these tonight for dinner and my husband and sons devoured them! They have a perfect combination of sweet and savory and will leave you and your guests begging for more. 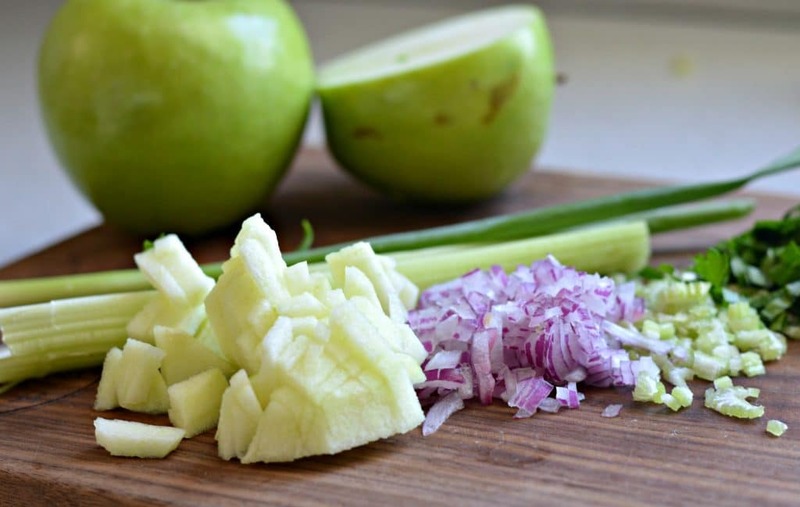 The key is to marinating the Smithfield All Natural Fresh Pork Chops in the marinade shown in the recipe below, and to cook the apple filling separately before filling the pork chops with it, searing, and baking to finish it off. These really are some of the best pork chops that I have ever made, and that is saying a lot, because I have a lot of pork chop recipes! I hope that you enjoy them as much as I do. Make sure to come back and let me know how they turned out! Also, be sure to sign up for this great sweepstakes below! 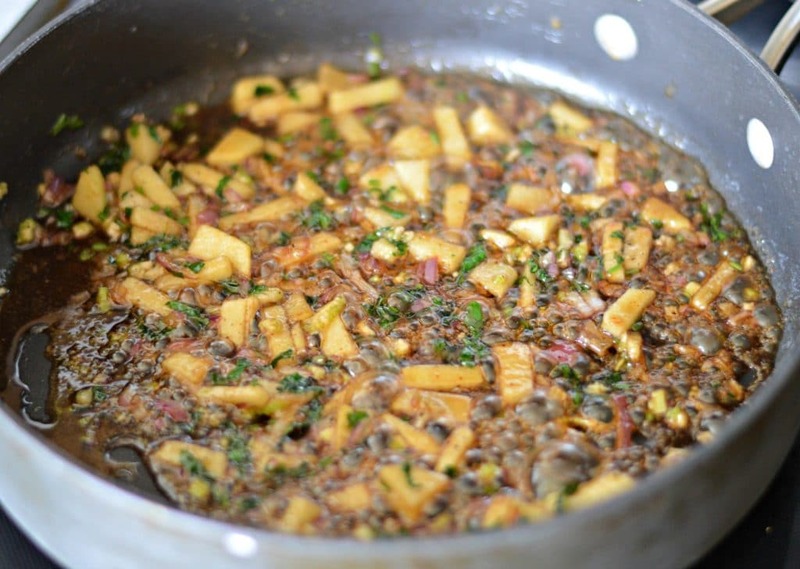 Combine all of the marinade ingredients and marinate the pork for up to an hour (or you can just quickly marinate them for a couple of minutes to get the flavor on there). 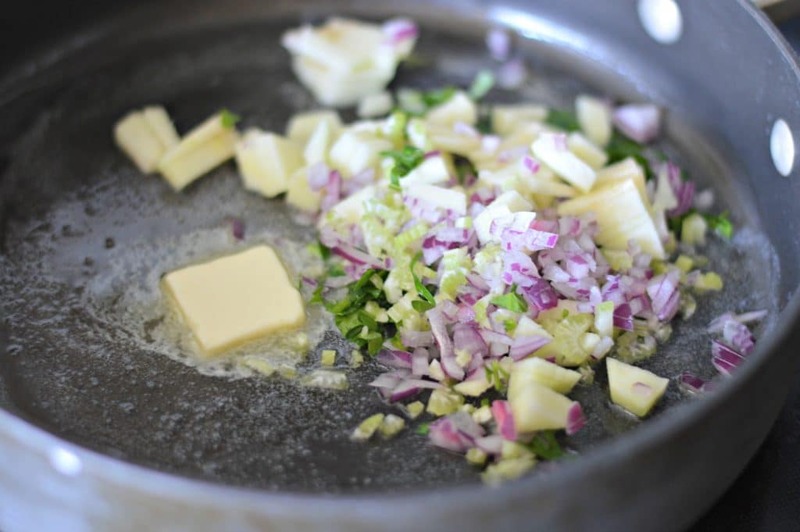 Saute all of the ingredients in butter until cooked through and soft. Cut open a "pocket" in the pork chop that will allow you to add the filling. Fill with the filling and then place in an oven safe dish. Top with a slice of apple and some extra brown sugar. Bake at 375 degrees for 20 minutes and enjoy! Easy to make fabulous flavors. Reduced the marinade to used for sauce/gravy.